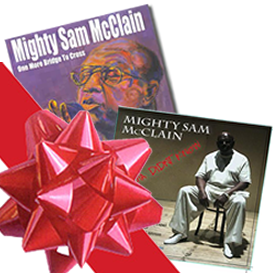 Welcome to Mighty Sam McClain's Online Store! We are pleased to share with you some of the music we care deeply about along with some great accessories. We encourage your questions and comments, and hope that you find your experiance both satisfying and enjoyable! As always we thank you for your continued support of our dreams, with out you none of this would ever be possible. 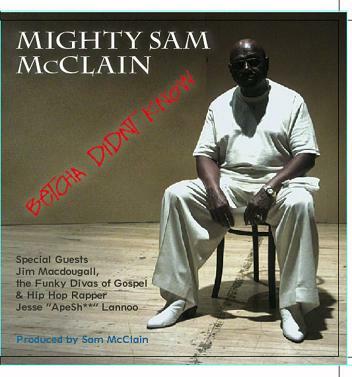 Sam's latest album with the Funky Divas of Gospel, Jim Macdougall, Jesse Lanoo, and others. Still not available in stores but you can get yours here! 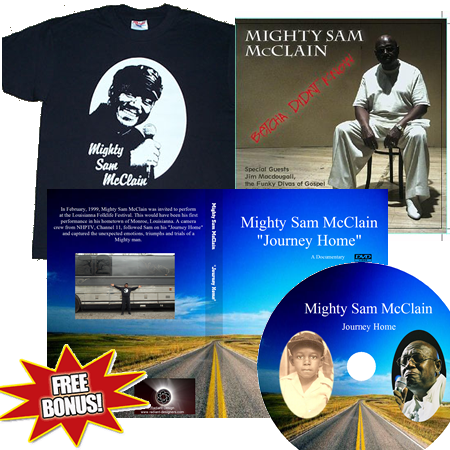 This album brings some new direction and depth to Sam's music, but the themes are the same:Love, Faith, and Hope. Getting rave reviews for the sound quality and the soul of the album. Getting mostly 5 out of 5?s from all critics. This album was proudly mastered by Björn Engelmann. You get a combination that blends the best from two chapters of blues and soul musics history. One chapter is about a singer who has lived the blues from the time he ran away from home in Louisiana 13 years old and has been on the road since then. 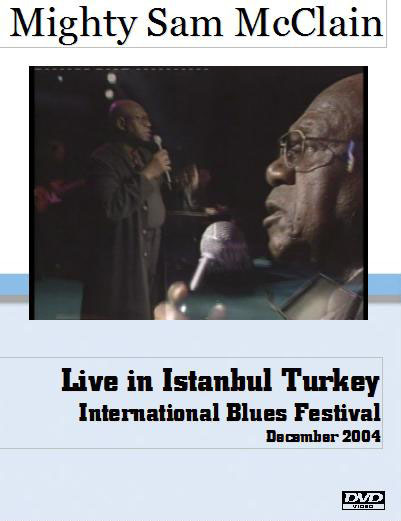 The second chapter is about how blues music through rhythm n blues and rock has reached several generations in Europe and created a unique style of play among countless guitarists who have then in turn sought their ideal musical roots. As a special thank you to our fans we are announcing a limited time special. These are two of our latest CDs, 2003's "One More Bridge to Cross" and "Betcha Didn't Know"- still unreleased! PLUS a FREE Suprise bonus included!